These rules are being put into place because of the known dangers of sports injuries, especially concussions. 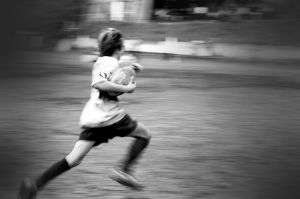 Unfortunately, as more and more evidence comes to light about how dangerous sports injuries are, it has become more apparent than ever before that both kids and adults are at serious risk if they suffer repeated head injuries. It is well established that head injuries can cause a number of serious health issues and can have long-lasting consequences. A recent study conducted by Boston University, however, has added to the growing concern about head injury risks. According to a December Boston Globe article, the Boston University Study was conducted by obtaining information about the brains of 85 brain donors, most of whom were professional athletes. The athletes included in the study included boxers, football players, wrestlers and hockey players, all of whom were involved in contact sports and who had experienced repeated blows to the brain. According to the researchers, 68 of the 85 individuals who were examined all had suffered repeated head trauma and all showed evidence of chronic traumatic encephalopathy. Encephalopathy occurs when brain tissue becomes clogged by a protein called tau that causes the destruction of brain cells. It can occur as a result of repeated blows to the head or concussions and symptoms are similar to Alzheimer’s. A Boston University neurosurgeon and study co-author indicated that he believed the size of the study should retire doubts about whether repeated brain trauma can cause permanent damage. Other neurologists, however, indicated that while the existence of the condition Encephalopathy has been established, it has not yet been definitely demonstrated that the problem is caused by multiple concussions. Those who conducted the study also acknowledged that the study was not intended to establish how frequent brain injury was in athletes. Still, the control group of 18 subjects who had experienced no concussions or brain injuries had no sign of the damage present in the brains of the athletes studied. While further studies need to be performed to get conclusive answers, the new findings by the Boston University study are one step closer to establishing a conclusive link between head injuries and brain damage. Establishing this link is important for athletes who want to take legal action based on head injuries sustained in sports. Many NFL players, for example, are suing the football league because of the unexpected risk of permanent brain damage due to repeated blows to the head. The Boston University study and other similar research could help with the NFL players’ case. Any athletes, from student athletes to professional players, should be warned about the potential risk of permanent brain injury or damage. If there was a coach, school or third party that contributed to the risk of brain injury or that failed to disclose the head injury dangers, then the injured victim or his surviving family members could potentially take legal action. If you or a loved one has been injured in a sports accident in the Greater Boston area, contact the Law Offices of Jeffrey S. Glassman, LLC for a free consultation to discuss your claim. Call 1-877-617-5333.